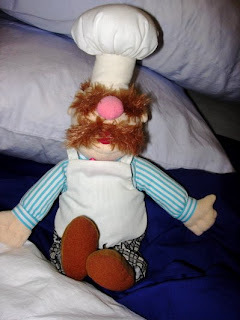 This is a Swedish Chef plush toy. The Swedish Chef is a featured character in "The Muppet Show". This toy was purchased at Disney's California Adventure, where the Muppets appear in "Muppetvision 3-D".